1 - CineStyle or some other one? Should I buy one of these? They are really better to work? 2 - How they do this presets? There's a Canon software to work on it? If yes, what is the soft? I saw there's something like that and there's some third party soft's too and it's on ly legal sell presets made in the third party soft right? With h264, you re recording 8 bit files. The best way to go is to film as close as your final video should look like. You can´t compare real log to cinestyle or other profiles, it does not work like this. Turn down sharpness, and use a less flat profile like flaat or neutral. Marvel gives you a orange/teal look and is nice, but sometimes fucks up the skintones. No kind of profile will give you a "film look" as it's not film. To make it look like film you'll need to grade and emulate a film stock and add grain... However... Different profiles can definitely make your footage less like "video", but as @dude said, that really just means recording with zero sharpening. That doesn't mean it will then look "cinematic" though - which is perhaps what I think you really mean(?). For that you'll need to focus more on composition and lighting, not your picture profile. Neither looks like "film" because they're just random clips without any real thought to composition or lighting, but the h.264 holds up well providing you capture it correctly in camera - which is crucial. Guys first of all, thx for the answers. I totally understand the difference between raw and h264... I totally understand there's no magic. I work with this for a long time. I just want to know the differences between these profiles. I like CineStyle, I prefer use it and than color grading than use just a default profile or some flat profile configured on the camera. But this is just my opinion. I really just want to know from people which like use profiles like these, if there's a too big difference between them... Or if I should keep using CineStyle. I like it too... But I saw some comparisons and I think I'll still using my Technocolor CineStyle and ad the Marvel's and the VisionTech. With these u can cover almost any situation. I use VisionTech by VisionColor for all my projects. It's a great starting point to start grading your footage, as it's a flat picture style but retains a high amount of colour information. Also, their OSIRIS pack of LUTs can be applied to footage filmed with VisonTech, for an instant 'film like' grade, which looks great. Probably best as a starting point to further grade your footage to how you want it, but if you're new to grading or you want to save time, they're totally passable without any further grading. 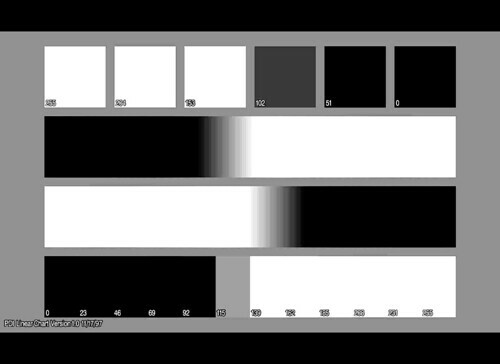 And as there are 9 different LUTs in the pack, there is a range of different aesthetics to play with. Each LUT has a Rec709 version for the VisionTech profile, and a LOG version, which can be used with Magic Lantern RAW footage. To get the maximum out of your footage, it's also best to denoise (with NeatVideo for example) in a 16bit environment, as it eliminates any compression artefacts. Then, add a film grain to your footage to avoid banding. The EOS HD launch the C-Log Picture Profile for all canon`s and it is AMAZING. I made some tests with your picture style settings (Faithful, Contrast:1 Saturation:2) in different light conditions, and damn, totally nailed that "already graded" look I was going for. Cool thread, I keep following it. But there's not much talk about why it's better than getting the desired look out of camera. Anyone can say flat shooting is the only way to do it, but it takes more than that to say it's justified. I found an article that goes against the grain merely but talking about the pros and cons of both ways: http://www.shutterangle.com/2012/canon-picture-styles-shooting-flat-or-not/ I'm guessing it's really more relevant for projects that have specific color grading requirements, like feature films. Would you bother shooting flat for a documentary and risk color banding from pushing 8-bit video? That's hardly the look of film. Following up on quickly getting a finished look OOC, I've found @markodarko suggestion of Faithful, Contrast:1 Saturation:2 useful. Unfortunately I sometimes experienced blown out skin tones. Since then I've discovered that this can be avoided by changing the base profile to Neutral, keeping Contrast:1 Saturation:2. Keep going and eventually you'll wind up with the Prolost Flat settings. You probably already found out that you shouldn't do any sharpening in camera so that should be set to zero. Using Neutral for the base profile and Saturation: 2 are Prolost Flat settings. The only difference is that your contrast is set to 1. That shouldn't be a problem unless you get into some very contrasty situations. Generally you can increase the contrast in post but reducing it will result in muddy shadows and/or grey highlights. I find it amusing when anyone attempts to get the "film look" in camera because when we shot on film we, "had to get it right in camera." Dirty little secret, while it might be true with still photography where we shot on color reversal film, movies were shot on negative film stock. Ok, there was a popular 16mm reversal film called Ektachrome Commercial (ECO, tungsten, ISO 25) but it created a very flat image suitable for making film prints but not for viewing. Note that I'm talking about movies as opposed to shooting news stories where the camera original was threaded onto a film chain and broadcast as is. Please, NO!!! 8 bit video simply has no room to increase the contrast in post. You can't get the image data out of nothing. It's just like upsizing the low-res image: you get artifacts(mosaic, when upsizing, banding when increasing the contrast). Increasing contrast is like upsizing an image? I think you got it backwards. You can easily crush blacks and blow out whites, which is increasing the contrast just like you can reduce the size of an image and loose resolution. The problem is when you try to dig out detail in the shadows and highlights, which is decreasing contrast. A bigger issue with 8-bit when color grading is the possibility of introducing banding if you try and stretch the image too much. Increasing contrast is like upsizing an image? Upsizing gets more pixels, increasing contrast gets more brightness values, where am I wrong? 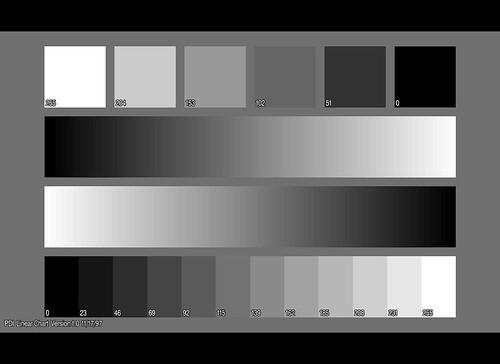 Sorry for the confusion, my settings are Neutral, contrast +1 saturation +2, NOT contrast:-1 saturation:-2. This is obviously not for grading in post but for getting acceptable results OOC. Sorry, my bad, you're right. Kidding aside, I was speaking from a post production point of view. Starting with a low contrast flat image you've got more leeway in color grading but let's concentrate on contrast. I'm at work today so I've got access to some test files that clearly show what I'm talking about. Now let's assume that this is your camera original. It has detail in the highlights and the shadows. Maximum black is 0 and maximum white is 255 -- right? So the creative decision is that this is too flat and what we want to do is to increase the contrast. Increasing contrast will not give you a black below 0 or a highlight brighter than 255 because that is impossible -- right? 8 bit video simply has no room to increase the contrast in post. It might be a little subtle but there is clearly more banding if we start with an 8-bit image. Note that you are seeing these images displayed in 8-bit but this is sort of like the discussion we're having about contrast--if you have the detail (bits, resolution, etc.) in the original you have more to work with in post. That's why we love 10-14bit raw even though the workflow is a PITA. Now there is obviously a problem if you shot a scene with your contrast setting jacked way up and the scene has so much dynamic range that your highlights are blown out and shadows crushed. There is no way to get detail back because it is simply not in the orignal. Getting back on topic, is there a big difference between the various flat profiles? Not really. Most of the differences you'll see has more to do with the way the image was graded in post. In fact if you just use the Prolost settings which doesn't require loading a custom picture style on the camera you should be fine. That said, what is going on with Technicolor Cinestyle? Some of us took a deep dive into it and even tried reverse engineering it. Apparently this profile is locked, it wasn't created with the Canon Picture Style editor tool and there is very little documentation on it. It was release in 2011 and Technicolor has kept very quite about it. What we did find out is that the curve is in 10-bit resolution so it seems that the picture style is applied to the image in camera before it is converted to 8-bit and compressed to H.264. What does all this mean? Theoretically, if you can create a picture style that gives you the "look" you are after in camera, it should look better and won't have the banding artifacts that you get in post when working from flat 8-bit originals. When you do everything to "get it right" in the camera it is like shooting Kodachrome. If your lighting is good and the image is exposed properly it looks great. However, you're limiting the amount of color grading, and contrast adjustments, that you can do in post. IME if you misjudged exposure or WB during shooting you will regret not using a flat profile or RAW. It's a different matter when judging a scene and the lighting. 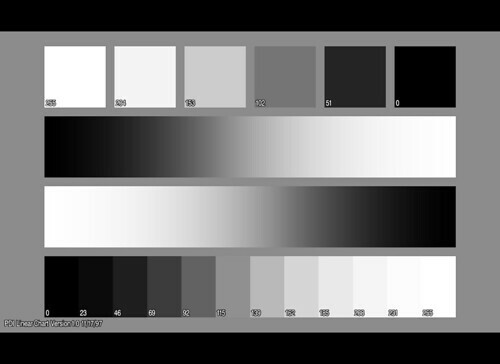 It helps to use a color profile that's close to your final look while preparing the shot. For less important shots it's convenient to get the finished look OOC and a bonus that you don't have to worry about banding. Either way you should use tools like a grey card or the Expodisc. It helps to use a color profile that's close to your final look while preparing the shot. That's a good idea even when shooting raw. You can keep the profile loaded while shooting because it doesn't really affect the raw image. With flat profiles it helps to adjust the LCD contrast though it isn't as sophisticated as using an external monitor that allows the use of LUTs to preview what the finished shot will look like. I was a still photographer back in the day. Pretty much everything I shot was on color reversal (chrome) film and the exposure had to be spot on. Bracketing in 1/2 stop increments or even less was standard procedure. On shots with live models where bracketing was impractical we would do "clip tests" where the lab would snip off a few frames and process it so we could decide if the film needed to be pushed or pulled in processing. I don't really miss those days but come to think of it, banding wasn't an issue.